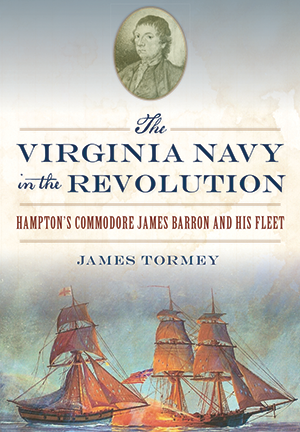 A while back I read James Tormey's The Virginia Navy in the Revolution: Hampton’s Commodore James Barron and His Fleet. It's an inoffensive pop history, though there are few notes and even fewer primary sources. Entertaining, and a good introduction to a topic that has been little explored. Virginia in early 1776 was on its way to creating a navy. It required men, ships and supplies. There were many capable leaders available among the sea captains and mates of its prewar mercantile seamen. One of the most unusual of these officers was Thomas Herbert, son of John Herbert, a ship builder from Hampton. Herbert had lost his left hand, which he had replaced with a prosthesis made of silver. Unsurprisingly, he also acquired the nickname "Silverfist." Tormey's citation for this includes a typo, but after tracking down the source I found it to include Herbert's role as First Lieutenant on the Virginia Navy schooner Liberty and nothing about his supposed nickname. Such a superhero title (there is a comic book series about the American Revolutionary War called Pistolfist) struck me as unlikely. 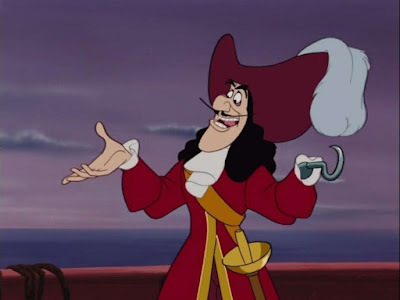 What a silly, pirate-esque thing to call someone in the eighteenth century. It seemed so ridiculously Robert Louis Stevenson that I simply couldn't countenance it. I did a bit of digging around. Edward Park mentioned him in the Spring 2002 edition of the Colonial Williamsburg Journal, though without citation. C. Leon Harris transcribed a number of primary source documents relating to 'Silverfist' on the Southern Campaigns Revolutionary War Pension Statements & Rosters website, though he also doesn't state his source for that tidbit. Similarly vague is Robert Armistead Stewart's use of the nickname in his 1934 book The History of Virginia's Navy of the Revolution. This is further supported by post-war pension application records. Many of these were helpfully transcribed by C. Leon Harris, as mentioned above. Proof that Captain Hughes was referring to Captain Herbert comes from the Library of Virginia's Digital Collections, where a digital copy of the original 1791 petition is available. A newspaper advertisement offering a prize Herbert seized during his Nantes voyage. 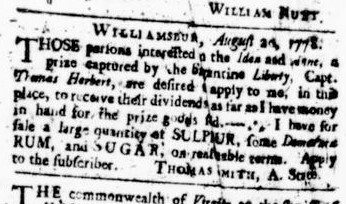 Virginia Gazette, Purdie, August 21, 1778, page 1. Further evidence comes from Patricia Holloway's family tree. She cites pension records in the Elizabeth City County Court dating to 1831, in which there are a couple references to the nickname: 'Thomas Herbert, deceased who was called "Silver Fist''' and "Thomas Herbert, who was usually called "Silver Fist."' I have not seen the originals from this pension record, but I also have little reason to doubt it. I will update this if I find the originals. I was curious as to whether Captain Herbert's prosthesis was actually silver. Knowing nothing about silversmithing or the properties of silver, I turned to Steve Smithers of Stephen Smithers & Son Silversmiths and Restortation. Though I have not heard of silver being used as a prosthesis before, my feeling is that it would be a very appropriate material for such a purpose. First, silver has excellent anti bacterial properties, and as such would be superb at preventing infection. This was known back in the 18th C. and before. Indeed, silversmith Paul Revere offered dentistry among his many services. And today, silver is used extensively in modern burn creams and antibiotic creams. Secondly, it is a very malleable substance, which can be formed by hammering and soldering into many complex shapes. I'm sure shaping a piece of silver in the form of a fist would be well within the capabilities of many a master silversmith. 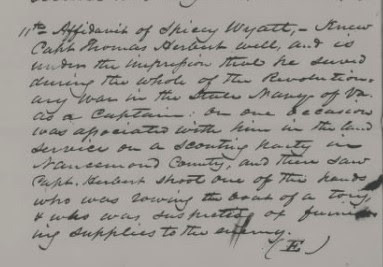 Affidavit of Spivey Wyatt,-Knew Capt Thomas Herbert well, and is under the impression that he served during the whole of the Revolutionary War in the State Navy of Va. as a Captain: on one occasion was associated with him in the land service on a scouting party in Nansemond County, and there saw Capt. Herbert shoot one of the hands who was rowing the boat of a Tory & who was suspected of providing supplies to the enemy. Every student of history should think critically about secondary sources, and follow the notes where they lead. Now and then you'll be surprised to find truth where you least expect it. Tormey, James, The Virginia Navy in the Revolution: Hampton’s Commodore James Barron and His Fleet, 40-41. Naval Documents of the American Revolution, William James Morgan, ed., Volume 5, Washington, DC: U.S. Government Printing Office, 1970, page 1299, via Naval History and Heritage Command, accessed May 27, 2018, <https://www.history.navy.mil/content/dam/nhhc/research/publications/naval-documents-of-the-american-revolution/NDARVolume5.pdf>. Park, Edwards, 'Virginia's Very Own Navy,' Colonial Williamsburg Journal, Spring 2002, accessed May 27, 2018, <http://www.history.org/foundation/journal/spring02/navy.cfm>. Harris, C. Leon, 'Pension Application of Thomas Herbert R15006,' Southern Campaigns Revolutionary War Pension Statements & Rosters, May 12, 2015, accessed May 27, 2018, <http://www.revwarapps.org/r15006.pdf>. Stewart, Robert Armistead, The History of Virginia's Navy of the Revolution, Richmond: Mitchell & Hotchkiss, page 46-47, 201. Naval Documents of the American Revolution, Michael J. Crawford, ed., Volume 10, Washington, DC: Naval Historical Center, Department of the Navy, 1996, pages 916-917, via Naval History and Heritage Command, accessed May 27, 2018, <https://www.history.navy.mil/content/dam/nhhc/research/publications/naval-documents-of-the-american-revolution/NDARVolume10.pdf>. Library of Virginia Digital Collections, Legislative Petitions of the General Assembly, 1776-1865, Accession Number 36121, Box 65, Folder 22, accessed May 27, 2018, <http://digitool1.lva.lib.va.us:8881/R/48PCM45MLQN3X1X5K2B3FJD365LN6Y8PHG7X5LIQUC6EC4RMQJ-07220?func=results-jump-full&set_entry=000062&set_number=396170&base=GEN01>.